For those destined to find exactly what they’re looking for when it comes to a speaker system – we bring you the new JBL® Studio 210 surround loudspeakers. As part of the groundbreaking 10-piece JBL® Studio 2 loudspeaker series, the Studio 210 fast-forwards you into a world where legacy sound-craft and advanced technology go hand-in-hand in shaping a listening experience like never before. The Studio 210’s 4" PolyPlas™ driver is designed to bring you pitch-perfect vocal clarity and tight, accurate bass. 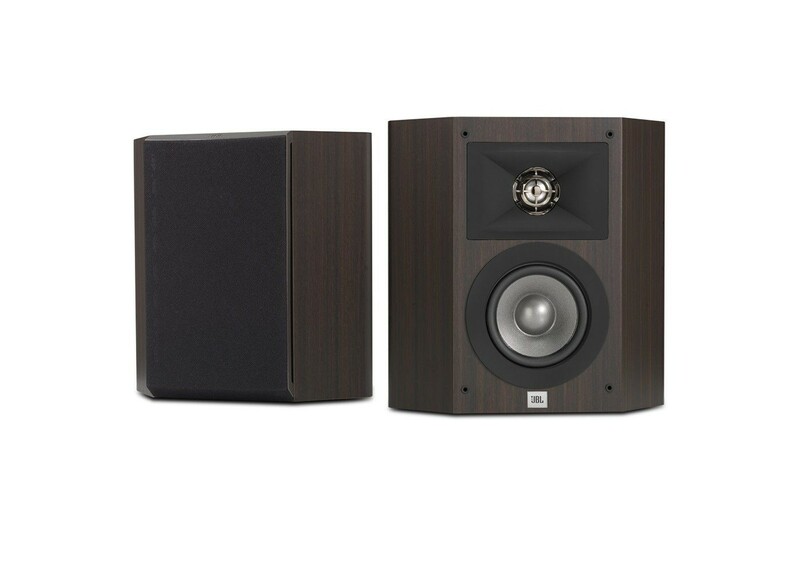 Add to that the built-in High Definition Imaging (HDI) waveguide design and the 1" CMMD® Lite high-frequency driver, and you’ve got a loudspeaker that takes its cues from JBL’s own legendary M2 Master Reference Monitor. Add to that the sleek, urbane design of the loudspeaker – both from within and without – and you’re dealing with a rare breed of sonic horsepower and brainpower ready to define its era. We’re not afraid in stating that the Studio 210 is one of the finest surround loudspeakers ever built. We have painstaking hours of JBL® acoustic testing to back that up. With its 4" PolyPlas™ driver delivering unrivaled midrange accuracy and power, we’ll let a masterpiece speak for itself. In addition to being the culmination of 67 years of peerless sound research and development,the Studio 210 carries bold, studio grade technologies like a High Definition Imaging (HDI) waveguide and a CMMD® Lite high-frequency driver that put you on the cutting-edge of home theater soundscaping. The JBL® way is to make it look as good as it sounds. And with the Studio 210, we’ve made no exception. With Euro-inspired elegance that incorporates soft-rounded edges, black gloss paneling, and soft-touch paint, we’ve built something that seduces the eye as much as it commands the ear.